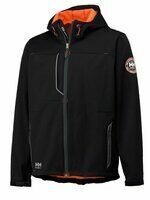 Helly Hansen Leon Jacket is light, durably windproof garment made of 100 % polyester - 295 grams, micro fleece lining on the inside, hood with draw-cord adjustment, 2 hand pockets and chest pocket with waterproof zippers, extended back, velcro adjustment of the sleeves. 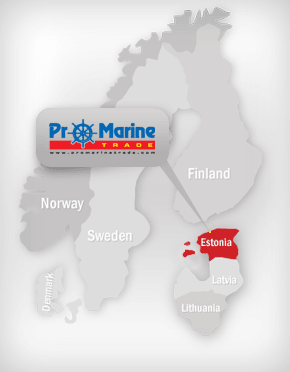 Helly Hansen base layer`s Kastrup Crew Neck vest is ideal for working in wet and cold conditions. The Lifa Stay Dry technology is perfect for underclothes which will keep you dry and warm in all weather. It is designed to draw moisture and excess heat away from the body. The shirt is also naturally anti-bacterial, and non allergic. Material: 100 % Polypropylene 130 grams, Lifa Stay Dry Technology TM, extremely Quick Drying, lightweight, soft and durable, extended back. 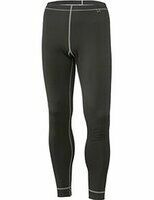 Helly Hansen Kastrup Long John Pants is ideal for working in wet and cold conditions. The Lifa Stay Dry technology is perfect for underclothes which will keep you dry and warm in all weather. It is designed to draw moisture and excess heat away from the body. The pant is also naturally anti-bacterial, and non allergic. Material: 100 % Polypropylene 130 grams, Lifa Stay Dry Technology TM, extremely Quick Drying, lightweight, soft and durable. 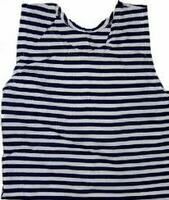 Traditional Russian sailor`s striped vest. An attractive and practical addition to the boating, camp or beach wardrobe. Material: 100 % Cotton. 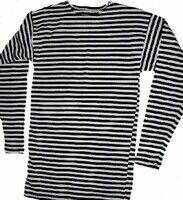 Traditional Russian sailor`s striped shirt with long sleeves. An attractive and practical addition to the boating, camp or beach wardrobe. Material: 100 % Cotton.